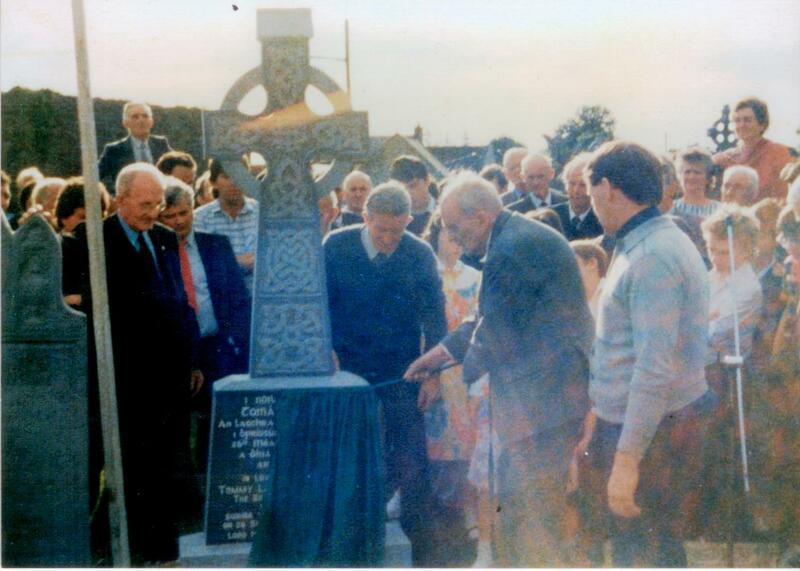 A headstone to mark the grave of Tommy Larkin, Woodford native, was unveiled by Seán MacBride, who also gave the graveside oration, in Abbey Cemetery on Sunday 17th August 1986. 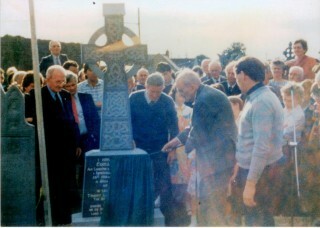 This event was organised by Woodford Heritage and Tommy Larkin’s GAA club to commemorate one of their own. In 1886 Tommy Larkin was arrested and later imprisoned in Kilkenny jail following his defence of Saunders Fort during the famous week-long eviction and his altercation with one of the British constabulary. 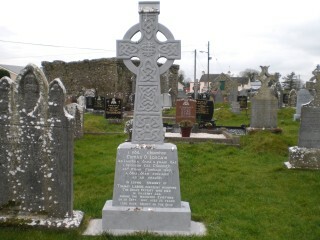 His death in September 1887 at the age of 23 years in Kilkenny jail shocked the entire community and the thousands who attended his funeral in Kilkenny, followed by his removal to Looscaun Church, bore testament to the feelings of outrage throughout the entire community and to the high esteem in which Tommy Larkin was held by everyone. 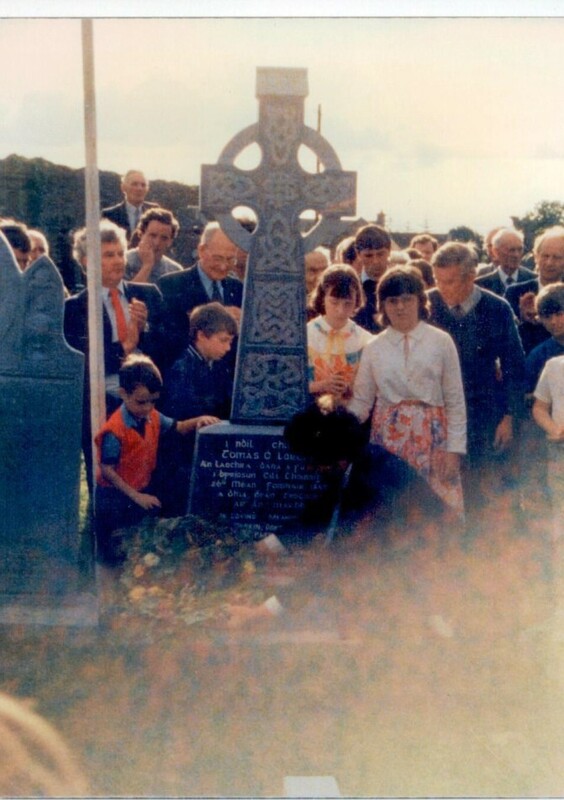 Tommy Larkin was brought to Abbey Cemetery for burial and it is reported that the crowds of people who attended his funeral were to this day the largest ever seen in East Galway. Although a plaque marks his birthplace in Gurteeny, Woodford it was fitting that his place of rest should also be remembered. I ndil chuimhne Tomás O Lorcain An laochra dána a fuair bás I bpriosun Cill Choinnigh 26ú mean fomhair 1887 A dhia den trocaire ar an marbh. This page was added on 11/02/2015. I live in New York and would like to know where my Grandaunts and Granduncles graves are located. Their names are Mike, Paddy, Ellen and Mary Kilcar. They lived in Lisheney Kylebrack. They are not listed on your database. Would love to visit their graves on my next trip to Ireland. Thanks for your help.